Since as far back as I can remember, I have been called shy, quiet, soft spoken, standoffish, etc. It used to bother me that people defined me that way. I hated those labels and always wished I was more outgoing. The funny thing is, as I’ve gotten older I have started to embrace those things, now they are pretty much my super powers. Here are 3 reasons why silence is golden. My father in law reminded me of this when we had a farming accident and it ended up plastered all over social media. It was, apparently, big news for a small town and people weren’t afraid to let the world know what they thought of the accident, or farming or GMO’s for that matter (not sure how it escalated to that lol). This is a prime example of when silence is golden. Silence doesn’t feed into the drama of a small town or small minded people. That’s hard for someone like me because I am fiercely loyal to my family and close friends and my first reaction is to jump to their defense. But silence serves this situation better. 2.) Silence is my best negotiating tool. When it comes to buying something of value, silence is my friend. Most people can’t handle silence, it makes them so uncomfortable they will just ramble on and eventually negotiate for you. Now and then I’ll run into someone else who has harnessed the power of being silent, in which case it just turns into a stare down. This is a lose, lose situation, better get out of there! I have always been told I am indimidating, which I have attributed to being quiet. But if you are quiet, and highly motivated and you are dressed half way decent, then you are up to an intimidation factor of 10. This is scary. Hide your children, hide your wives, we have a half way decent dressed, highly motivated, silent girl coming through! This is only amplified in a competition setting. 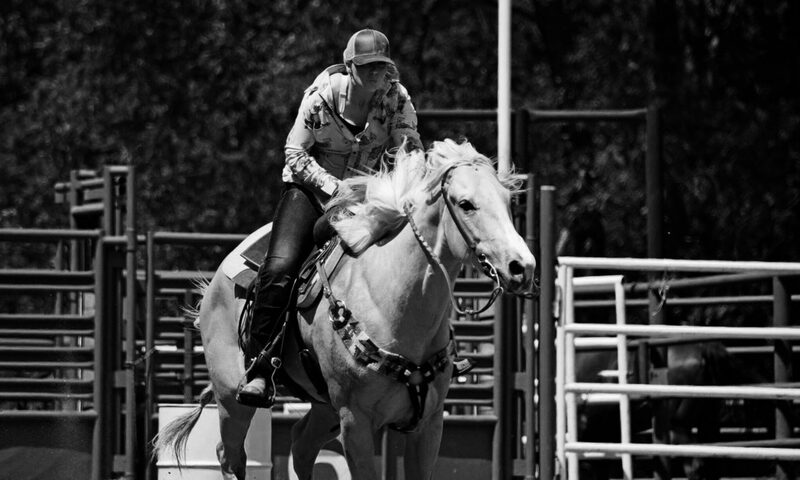 At a barrel race, I am often the one keeping to myself, taking care of my horses and staying out of any conversation that involves trash talking other people or negativity. Beware, I might look lonely, but I can assure you I am perfectly content in my own little quiet, drama free zone. Maybe being intimidating will work out in my favor in competition some day, or maybe people will start to see through my super scary exterior and call my bluff? Either way, I’ve found that embracing my personality and halving a little sense of humor about it is far better than trying to be someone I’m not. Here’s to me, being unapologeticly me!